These two kids played together in three films; one of the movies merely presented them in cameo as themselves: Budd Abbott and Lou Costello in Hollywood (1945). The other two films found them as friendly boy and girl comrades: Little Mister Jim (1946) and Boy’s Ranch (1946). Though their most memorable roles occurred in other films where they enjoyed smaller parts (e.g. 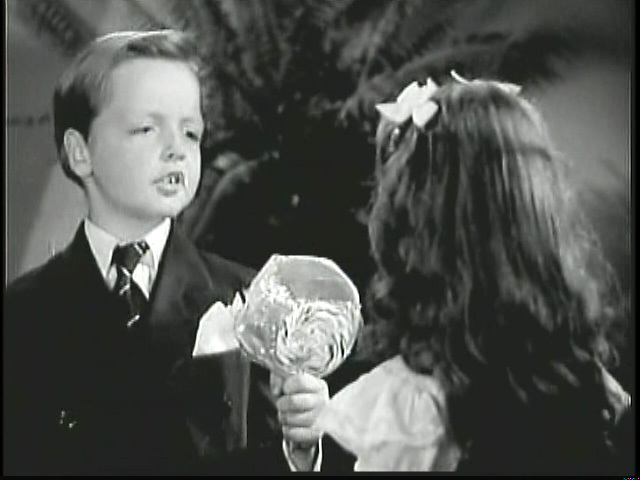 Jackie’s pre-school Ulysses Macauley in The Human Comedy (1943) and seven-year-old Sharon’s brief pairing with dancing partner Gene Kelly in the 1945 release of Anchors Aweigh), it is difficult to ignore the cuteness factor that marks their three screen collaborations as adorable, if not memorable.